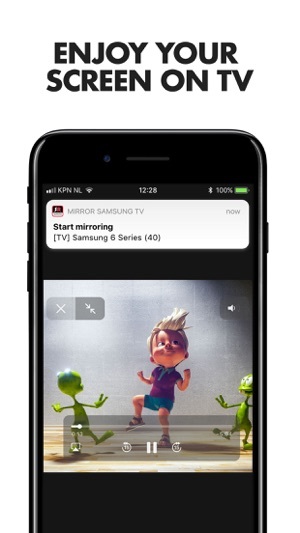 To mirror video as well as audio, please make sure that you start mirroring when you are in the app (Photos, YouTube, Facebook etc.) that you want to mirror to your TV. 2. 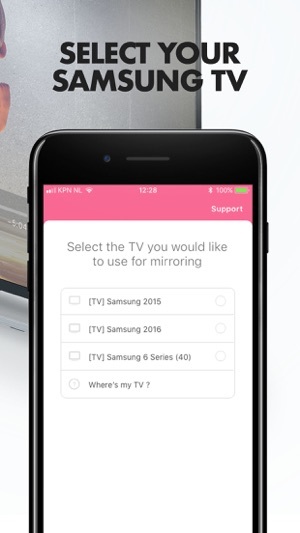 Launch the Mirror for Samsung TV app. 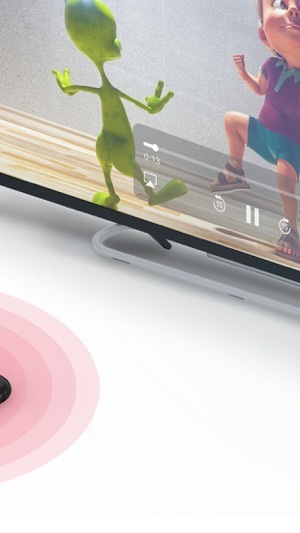 It will start looking for your Samsung TV(s) on your local network. When a TV is found, please select it. When you use this app for the first time, depending on your model Samsung TV, the TV might ask you to "allow" the connection. In that case, take your TV Remote Control and press OK to allow the connection from your TV to your iPhone or iPad. 5. To stop mirroring, there are two options. (1) click on the red top bar that you will see on your iPhone or iPad. 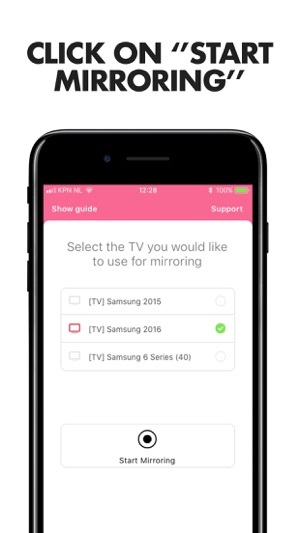 (2) Go to the Mirror for Samsung TV app and click on Stop Mirroring. - When screen mirroring from Safari, there is no audio. We advice to use the Endless Browser instead of Safari. At first I thought it was going to trash then saw the reviews and thought they were bots.I bought the app and used it and it worked perfectly perfect sound and audio this app is a match made in heaven for me. At first had trouble setting it up, but after following the video guide to set it up, “Bingo” it works a treat. Also their support is brilliant, they responded in less than an hour of the query I emailed to them. I was having problem connect my IPhone to my Samsung TV and so impress of the support team . They provide effective solution and I got it done in front mins. 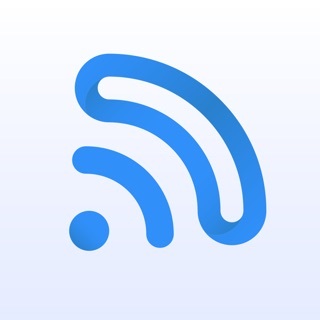 Try this very good app! Hope you like it too. It works and customer support is amazing! 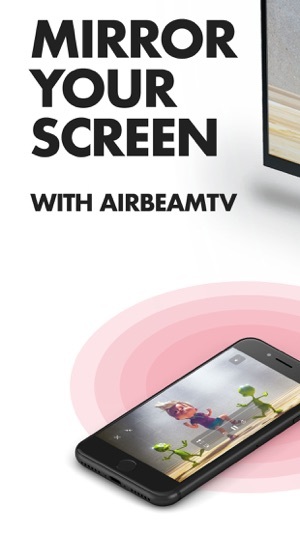 After doing a tremendous amount of research for mirroring with my Samsung TV and my iPhone X, I chose this app. I was able to get it to Mirror quite quickly. I reached out to the customer support through messenger and I could not believe how quickly I had a reply! I was having a challenge using one particular website and trying to get it to Mirror with appropriate sound through the television. The mirror part worked just fine however I could not understand why the volume would only come out of my phone. Apparently it has to do with certain websites blocking the ability to mirror and the customer service person was excellent about helping me with this and to verify it through a couple of simple steps. This app is well worth it if you wish to mirror things from your phone. Note: some websites may only allow sound thru your device. Support was outstanding. I wanted to watch some training videos on our Samsung smart TV via an app on my phone and I was getting frustrated trying to figure out how to do it. I tried a free app by a different developer and it didn’t work. Fortunately, I discovered Mirror Samsung TV and decided to spend the five bucks and give it a try. Within just a few minutes of downloading the app, I was watching the video on the TV streaming from my iPhone. It’s easy to use and works great. I don’t write many reviews but I want to give kudos to the app developer. I wanted to use the app to play videos from safari and chrome from my iPhone to my Samsung tv. I kept getting notifications that it wouldn’t work with those web browsers and was told to downloand puffin and some browser called uc to no avail. That’s too many steps for me and whenever you are told to use another product when you purchase a product it’s a bad sign for me. Responsive support team though. In a time where it seems like every single app based company has a million apps but no one to answer the phone numbers they don’t have or reply back in chat support, that is a nice touch. Good service, useless product.